SEOUL, Feb. 27 (Yonhap) -- New opposition leader Hwang Kyo-ahn is a staunch conservative who drove the disbandment of a leftist political party, spearheaded a campaign for a single, state-authored history textbook and still expresses doubt over the veracity of key evidence behind the ousting of former President Park Geun-hye. The former prime minister was elected the new chief of the main opposition Liberty Korea Party (LKP) Wednesday in an overwhelming victory over two rivals. He now faces the daunting challenge of freeing the party from the stigma of the Park era, of which he was an integral part. Hwang, 62, replaces interim leader Kim Byong-joon for a two-year term and will steer the conservative party to the 2020 parliamentary elections. In the Park administration, he was justice minister from 2013-2015 and prime minister from 2015-2017. 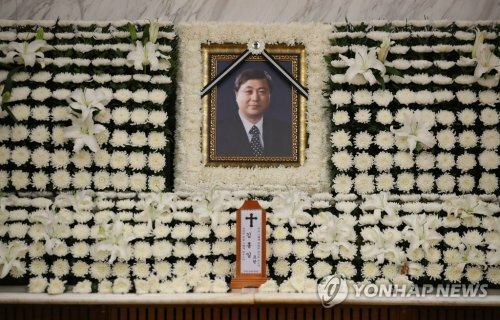 He also served as acting president when Park was suspended from office by parliamentary impeachment in late 2016. During the campaign, he has pledged to rebuild a strong conservative bloc as the right remains weak and divided since Park's fall in March 2017. Top priority will be placed on closing ranks, shedding the party's image of being closely associated with Park and resolving factional division. But it will be tough for the new leader, experts said, given his close ties to the former government. He is also a party politics newcomer whose political skill has yet to be proven. 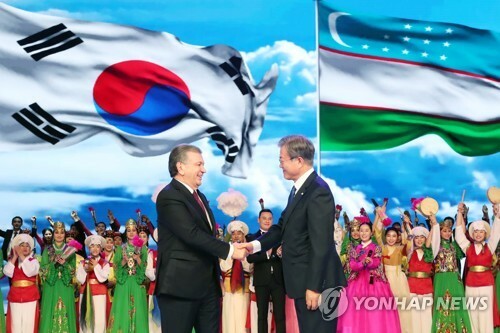 "His victory was widely anticipated, but his election cemented public belief that the LKP is still linked to Park," said Yu Yong-hwa, a political analyst. "There are also lingering concerns that the party may walk toward an ultra-right path." 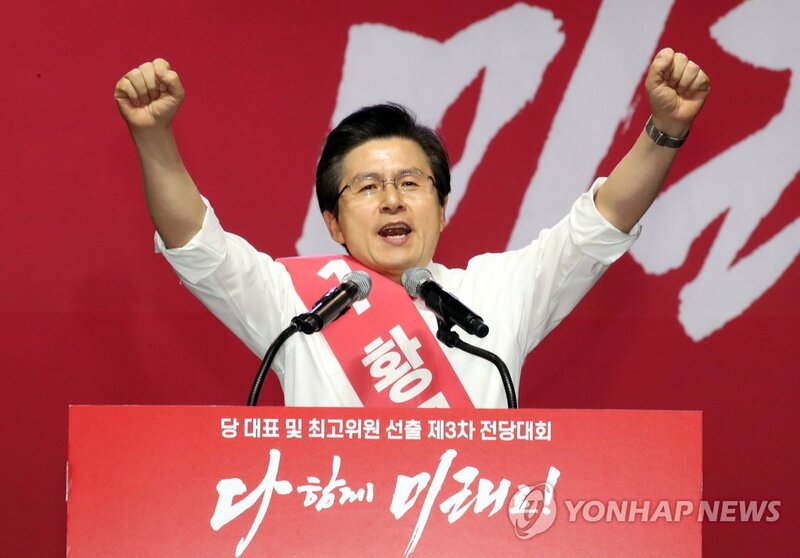 The parliamentary elections set for April 2020 will be a litmus test for Hwang's leadership. The ruling Democratic Party (DP) currently controls 128 seats in the 298-member National Assembly, followed by the LKP with 113 representatives. 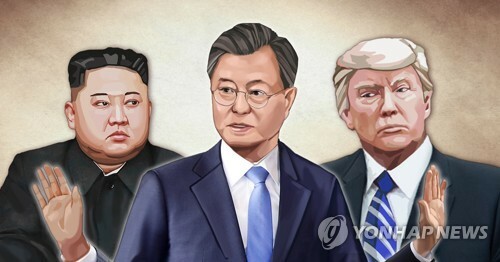 In the run-up to the 2020 elections, Hwang needs to resolve factional strife between Park loyalists and others within the party. Stung by Park's ousting, the LKP lost public confidence as the mainstay conservative party. It failed to win a presidential by-election in May 2017. The LKP also suffered a crushing defeat in local elections last June. Public support rates for the LKP have risen in recent months, mainly because of disappointment at the liberal government's economic policy amid an economic slowdown and sluggish job market. But its approval rating is still lower than the DP's. Hwang's political profile started to grow when he became acting president after Park's suspension in late 2016. He is still the leading contender on a list of potential presidential candidates in the conservative bloc. Hwang's strong conservatism may help his efforts to forge a "grand unity" on the right, experts said. While justice minister in 2013, he led a government petition to disband the Unified Progressive Party, which it branded as pro-North Korean. The Constitutional Court dissolved it the following year. As prime minister in 2015, he was the staunchest supporter for Park's bid to publish a state-authored history textbook to replace what the government described as left-leaning school texts. 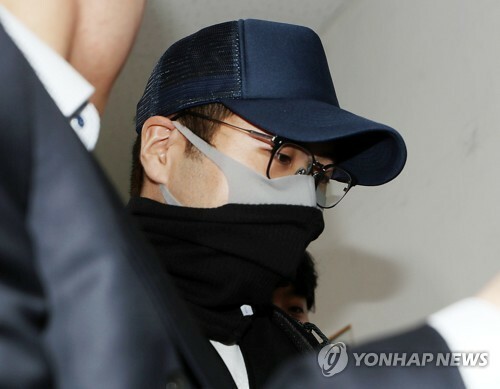 During the campaign this month, he even echoed a conspiracy theory that the tablet PC which was key evidence in prosecution of Park may have been manipulated. The LKP is also facing a political storm following three of its members issuing controversial remarks disparaging a pro-democracy movement in the southwestern city of Gwangju in 1980. Public outcry increased over an increasingly fierce ultra-rightist movement within the party led by Park loyalists. The party decided to expel Rep. Lee Jong-myeong for making controversial comments. 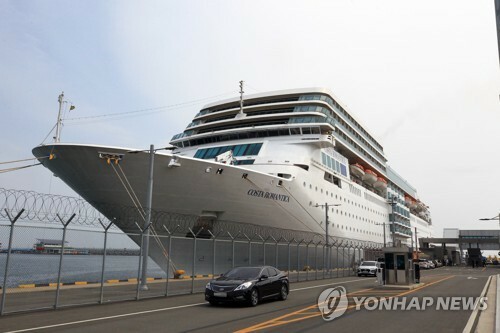 But it postponed its decision on Rep. Kim Jin-tae and Rep. Kim Soon-rye until after the election, as they ran for the chairmanship and a leadership panel seat, respectively. Kim Jin-tae lost to Hwang and Kim Soon-rye was elected to the panel. How to handle the two lawmakers will be an imminent task for Hwang amid calls that heavy punishment be meted out to them to ward off the image of the LKP as an ultra-right party. Hwang is also expected to spur efforts to seek unity in the conservative bloc, including a possible merger with the minor conservative Bareunmirae Party. "A party-to-party merger may experience procedural difficulty. It would be easier for individuals to join our party. But that does not mean that I am excluding such a merger," Hwang told a YouTube channel on Monday. A possible shakeup in the conservative bloc may take place if Hwang actively embraces new talent from outside with a view to winning back power. "The LKP failed to show the possibility of being reborn as a new, reformist conservative party during campaigning," said Ko Jin-dong, a political analyst. 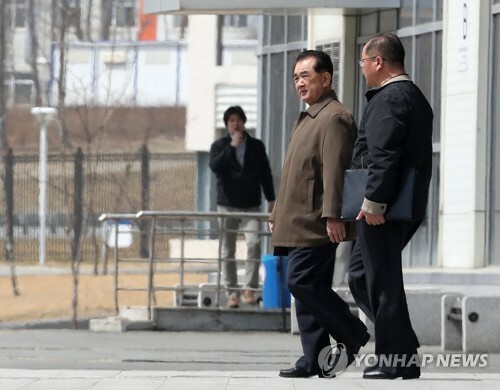 "It won't take long for people to notice whether the LKP still sticks to the past or moves forward in a future-oriented manner, depending on what actions Hwang takes for his party's rebirth," he added.